The term barn find is tossed around for any vehicle that has been abandoned or neglected for many years and is then picked up for much cheaper than a nice version. Sometimes, barn find fever strikes buyers and suddenly folks are bidding for the right to restore some pile of parts and the discount associated with buying a pile of parts is suddenly gone. Today's example hasn't spent much time in a chicken coop, but that hasn't stopped Jesse over at BarnFinds.com from picking it up and now selling it on eBay. 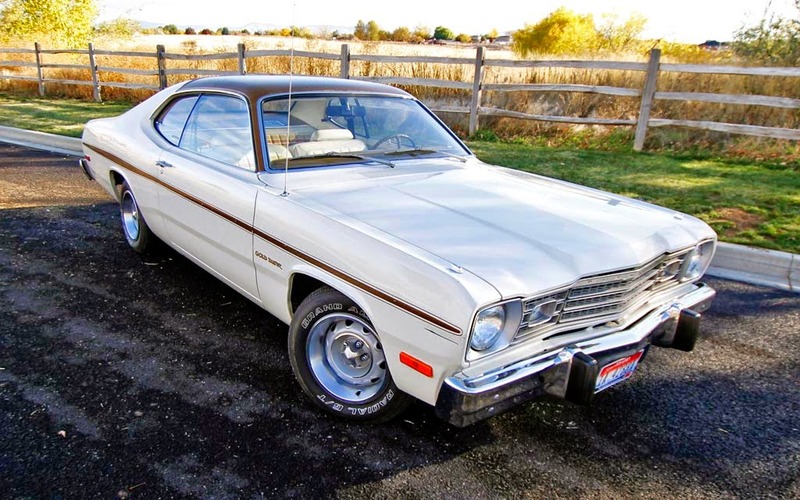 Find this 1974 Plymouth Duster currently bidding for $7,755 with 4 days to go, located in Boise, ID. 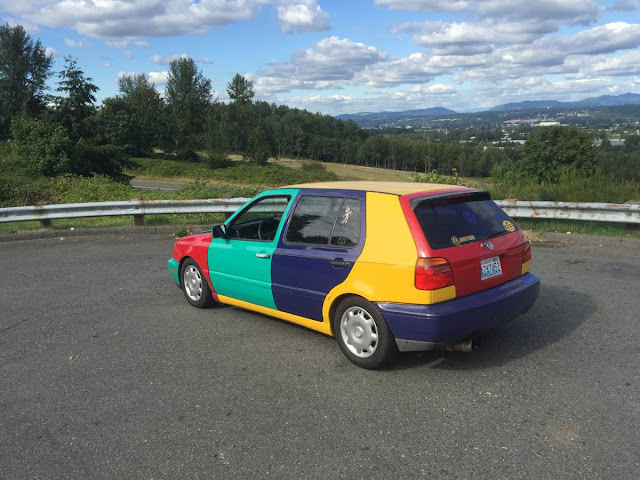 You can read more about this Dusters history and story on the Barnfinds website here, but the short version is that the current seller purchased it from another person who had picked it up from a car club member who had purchased it from the original owner. This means, if you buy it, you will be the...hang on...5th owner, which ain't too shabby at all. When you sell it, just say something like "one family" owned, because we are all related to some extent, right? 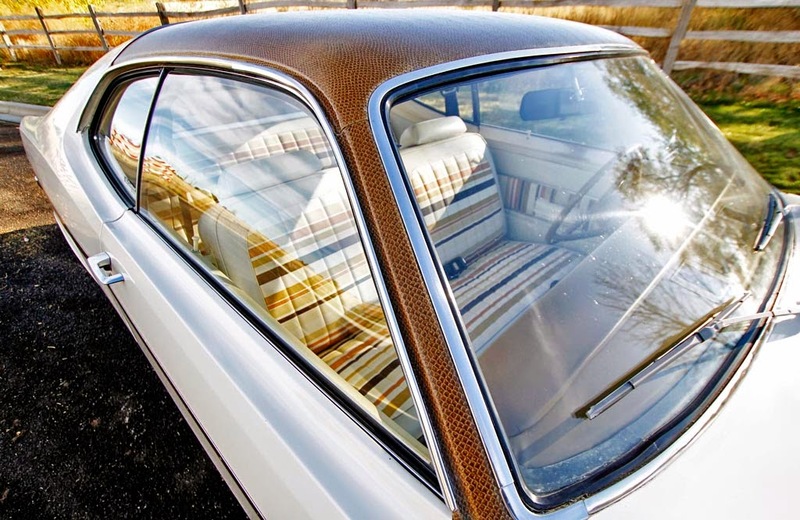 Let's get to the good stuff -- this car has a snake skin top. Snake skin. This really tips the scales from loser to awesome, and you could say that I've been bitten and this car has me all wrapped up. SNAKE SKIN!! The interior also features some awesome 70s era colored stripes in a refurbished interior that the previous owner fixed. Under the hood is a 225 cubic inch inline-6 that pushes out 145 horsepower mated to a 3-speed manual shifter on the floor. The real draw on this car isn't the powertrain, it is the fact that it appears to be an un-restored, original, survivor. That alone makes it worth the price of admission. Wow, normally this would not be my thing, but I do love survivors. I had to look up the mileage (67,000 miles) after I checked out the under-hood shot. 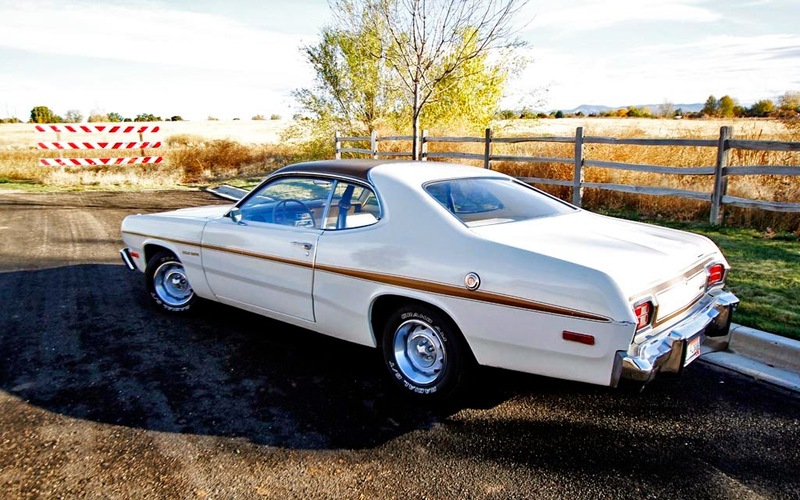 In 1984, my dad's 25,000 mile 1969 Torino showed way more wear that this Duster. I take my hat off to the original owner. Oh, and personally, I think the drive train in one of the big pluses on this car: a slant six with a floor shifted 3-speed is a neat combo. Original vinyl top? Every last one of those I ever saw was rusting around the vinyl almost before it left the lot. The idea of an 'original vinyl top' is almost unimaginable to me.